Louisiana Gov. Bobby Jindal greets supporters during the Republican Party of Iowa Growth and Opportunity Day in Des Moines, Iowa back in October. Republican presidential candidate Louisiana Gov. 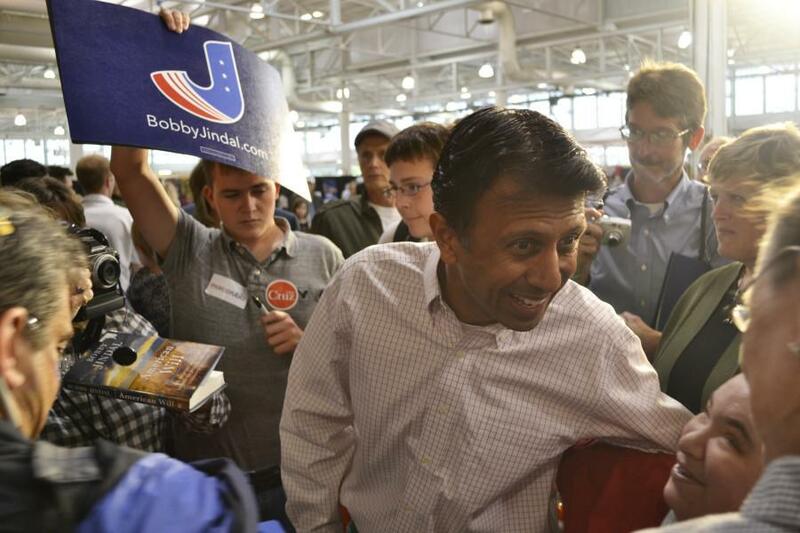 Bobby Jindal announced Tuesday evening that he is dropping out of the 2016 presidential race. Jindal has been polling very low on the crowded Republican ticket. According to the latest Fox News Poll, Jindal came in with 0 percent. According to Real Clear Politics, Jindal had an average of 0.3 percent across the recent major national polls, at the time putting him 12th out of the remaining 14 candidates. In a statement, Jindal said that the Republican party needs to continue to be a leader for the nation, reiterating statements made during the Republican Party of Iowa’s Growth and Opportunity back in October.